Creating a film or television episode takes more than a cast and a camera. All sorts of positions have to be filled to create a particular world. For Atlantan Shane Garner, his job is to provide set dressing for various productions filmed in the area like The Vampire Diaries and The Hunger Games: Catching Fire, including pulling from a warehouse of unusual props that he rents to productions. 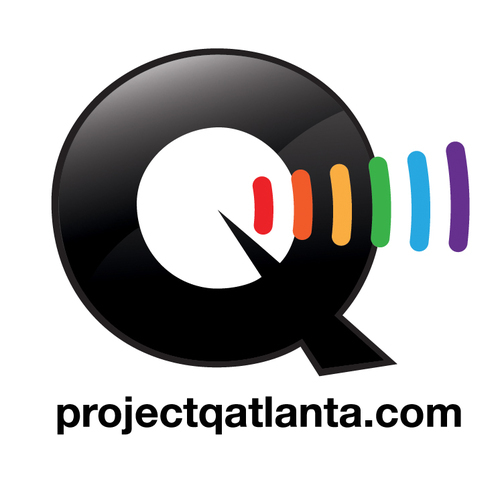 David Atlanta: What is your involvement in Atlanta’s film and television industry? Shane Garner: I am a member of the local 479 and have done set dressing for several films, television shows, and music videos. I also have a warehouse of unusual props that are rented to the movie and theatrical community. As of late, I have been making custom props for The Originals, Constantine, and Goosebumps. The props include a series of creepy dolls and voodoo dolls. Apparently, I am becoming known around town for esoteric type props. If a production needs an Egyptian sarcophagus, an unusual throne chair, or just plain weird, my name is usually mentioned. DA: What does your job entail? SG: Since I mainly freelance, every day is different. One day I may be turning a stationary store into a wedding cake shop and another day, I could be helping transform a city park into a cemetery. Either way, long hours are always involved. When I was sculpting on The Hunger Games: Catching Fire, I soaked my hands in ice before going to bed to help keep the swelling down. When I was working on Endless Love, I was fortunate enough to land a temporary position in the Art Department as a buyer. What started with me helping out the department sourcing props and set items for one day turned into a five-week position, and then I went back to set dressing. I have always been very lucky to meet and work with some incredibly talented people along the way. DA: How did you get your start, professionally? SG: I had worked in antique store in Atlanta and we rented quite a bit for productions. I do photography and started garnering unusual items for photo shoots. When Rob Zombie was in town filming Halloween II, one of the buyers heard that I had some unusual pieces and came to my home and rented things from my basement, my living room, and even from my bedroom. As my collection grew, I teamed up with Ted Morrow at All About Props and now my things occupy about 7000 sq. ft. of space. Having the warehouse space keeps the level of creepiness down in the house, but my roommates may say otherwise. DA: For someone who wants to get involved in the film industry, and more specifically into what you’ve done, what would you recommend? SG: What do I recommend? Be true to your heart and your passion. Do what feels right because if you enjoy what you are doing, then it isn’t so much like work. Well, most of the time anyway. Get good at networking and don’t be afraid to take a non-paying gig, because making connections is a great way to start. Be responsible, but be pleasant to those you work with. For me, I would much rather be working with some wonderful people shoveling horse manure than to work with miserable people decorating a mansion, and in this business, you could easily be doing both within the same work day!